Why…..on a shot weekend…..does it need to be 30-48F/sub zero to around 6C. Holy moly! Yesterday started off cool but pleasant, hmm not too bad we think, take jackets, hand warmers etc, all good. A short time later, a slight breeze picks up – create wind chill. The northern cold front moves in – temperature plummets again. Add a little of that moisture stuff – yay drizzle as well. Anyway, still had fun, 36 shooters, 6 stages shot, just meant a bit more cleaning of guns after and despite the fumbles had a respectable finish. Happy days! Thanks again Territorial Marshal's for a fabulous club match. This morning we get up earlier – need to travel 2 hours to get to Sand Springs. Again, cool but pleasant with hopes of it clearing. Scarf included in the mix of items today. Legs were warm yesterday so it's pants and chinks again – hmm toasty. Have high hopes of cloud clearing and sun breaking through on the way. Just after Macca's picking up breaky, the sun is rising and I'm excited. 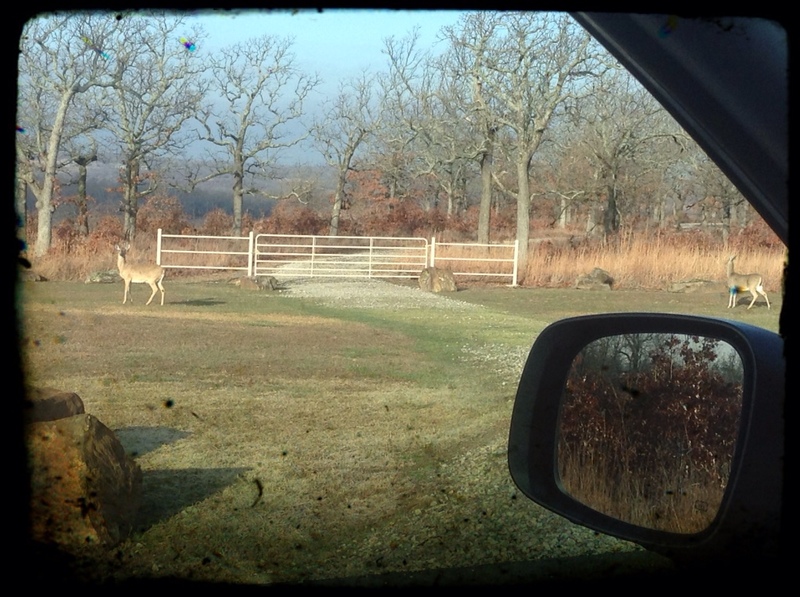 We get onto Zinc Ranch and we see 5 deer, (pic of 2 from the pack) and it's a great day to be here. We end up with 30 shooters, 6 stages, a better day than yesterday shooting wise, really happy days. Great posse, weather consistently cool, everyone's rugged up and making sure all shooters are soon deposited back into their warm coats and gloves. 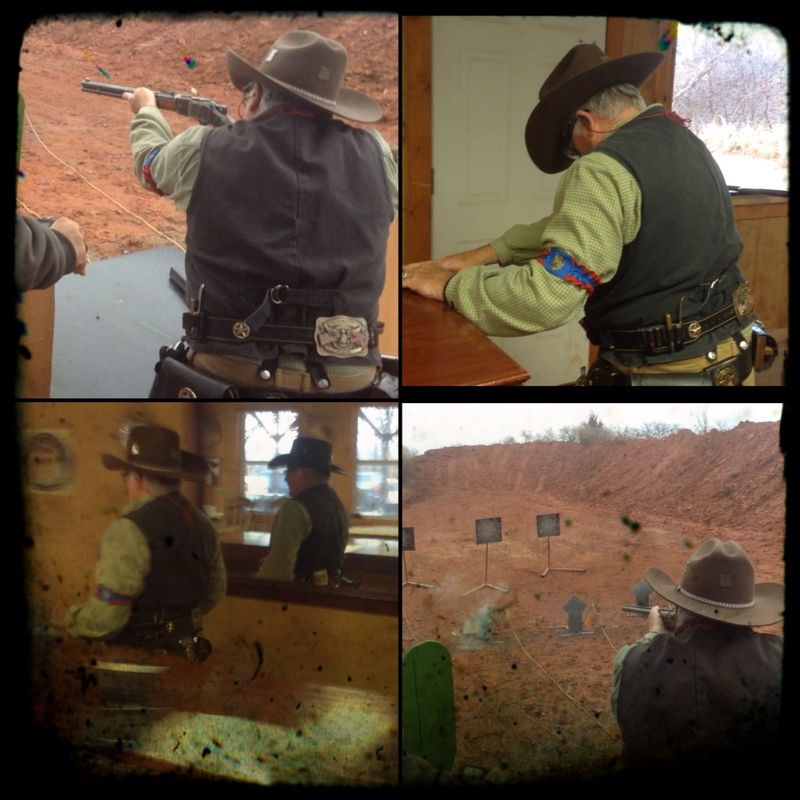 Thanks to Indian Territory SASS for a great day. Worn out, warmed up, nice and cosy. Hoping for some warmer days for Land Run! Less than two weeks to get your entries in, then another two weeks on til we have approx 300 shooters take part in this awesome event. 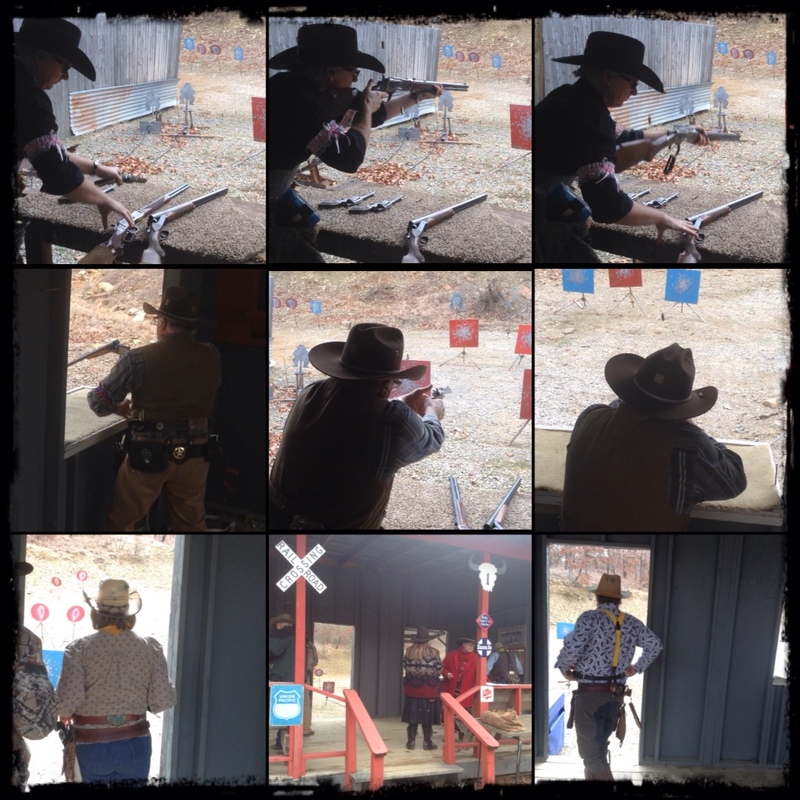 This entry was posted in Love My Life, Oklahoma, SASS and tagged cowboy action shooting, friends, ITSASS, Oklahoma, Single Action Shooting Society, The Territorial Marshal's, USTrip. Bookmark the permalink.